San Francisco is consistently listed as one of America’s most walkable cities (see e.g., CBS article ranking San Francisco #4 in June 2014). Walkability attracts both residents and tourists to our region. Pedestrian accidents are one of the biggest threats to walkability. Older pedestrians in particular deserve extra deference from drivers. Walking can keep aging bodies healthy and choosing two feet over four wheels might be safer for some. Our San Francisco pedestrian accident law firm represents injured elderly pedestrians and families who have lost an older relative in these terrible crashes. Early Tuesday morning, a man in his 70s was hit and killed near the intersection of Sloat Boulevard and 43rd Avenue. ABC7 reported that the accident occurred just before 7 A.M., approximately one-quarter mile from the Zoo. Police believe the man, who lived on Sloat Blvd., was taking his morning walk. The driver was going west on Sloat, travelling the speed limit towards the ocean, when the pedestrian began crossing. Police say the pedestrian crossed mid-block and was not in the crosswalk. Light may have been a factor, daylight was breaking and fog keeps the beach area darker longer. However, the area is generally well-lit and accidents there are not common. At the time of the article, the driver was cooperating. In June 2012, the National Highway Traffic Safety Administration (“NHTSA”) published a report reviewing safety research on pedestrians and bicyclists conducted from 1991 through 2007. By way of introduction, the report notes that 4,092 pedestrians were killed in 2009 and an estimated 59,000 pedestrians injured. The agency notes the figures include only traffic incidents and exclude those occurring on private property (e.g., parking lots, driveways, certain trails). Lower-severity injuries are often not reported to police and thus are also excluded. Narrowing the focus to pedestrians ages 65 and older, the NHTSA reports that 2009 saw 775 deaths and approximately 5,000 injuries due to traffic events. In comparison, 996 older pedestrians died in traffic incidents in 2000. Notably, pedestrians 65 and older had a higher population-based fatality rate in 2009 than adults ages 21 to 54. Reviewing studies, the NHTSA found that, on a per capita basis, pedestrians 65 to 74 had a lower crash rate than any other age segment. However, the likelihood that a crash would lead to a pedestrian fatality increased steadily with pedestrian age, with the 75 and older segment having a fatality rate of 25%. 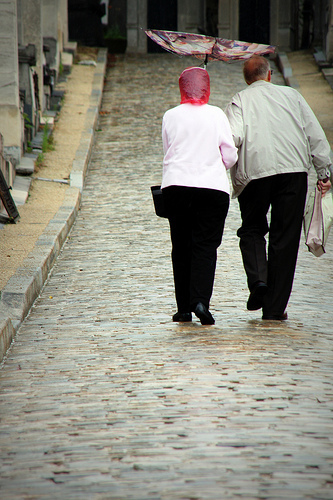 The studies revealed some interesting facts about the nature of accidents involving older pedestrians. For the 65+ group, 64% of the pedestrian deaths in 2009 involved non-intersection locations versus 78% for other pedestrians. Older pedestrians were involved in more fatal crashes in the fall and winter than in spring and summer. Those age 65+ were less likely than pedestrians in other age groups to be hit on the weekend. With the exception of young children, a higher portion of older pedestrian accidents occurred during daylight than other age groups. Importantly, the law compensates victims for their injuries even if the same event might not cause as significant an injury to an “average” individual. Therefore, even if a younger pedestrian would not have been as severely injured, an older pedestrian hurt by a negligent driver can recover compensation for the injuries incurred. The same principle applies in a wrongful death case; the family of an older pedestrian killed in a car accident that is the driver’s fault can recover compensation regardless of whether the same accident would have killed a younger individual. If you are an older individual and you were injured in a pedestrian crash in Northern California that was not your fault, or if an older relative was killed by a negligent driver while walking in our region, you deserve justice. Call to arrange a consultation with Gregory Brod, an experienced lawyer representing injured pedestrians in San Francisco and surrounding areas.